Warner Bros. movies will be available to rent the same day that they hit stores. Kiosks in six test markets now offer 4K Blu-ray rentals. The battle between the two companies is only intensifying. Disney's motion for a preliminary injunction against Redbox has been denied. Universal movies will be available to rent the same day that they hit stores. The company is returning to the digital streaming market. The rental company is being sued by Disney. Titles from Sony and Lionsgate will be available through Redbox on their retail street dates. Redbox is keeping physical media rentals alive with more kiosks set to crop up across the country. Redbox has decided to terminate its online video streaming service. The video streaming Android app now offers Chromecast support. "We’re already carrying Wii U games in select cities." Video rental stores expected to nab a $1 billion share. 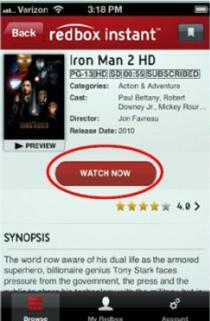 The service is powered by Verizon and focuses on movies. The company posted losses this year and is warning investors not to expect miracles. With only $1 markup over the list price, we're happy to see them keep expanding. 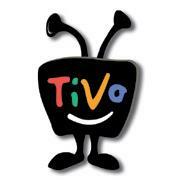 With that settled, TiVo says Redbox streaming may be supported in TiVo units when it launches. There's no word on pricing quite yet, but we're quite curious about what this will mean for Blu-ray rentals.